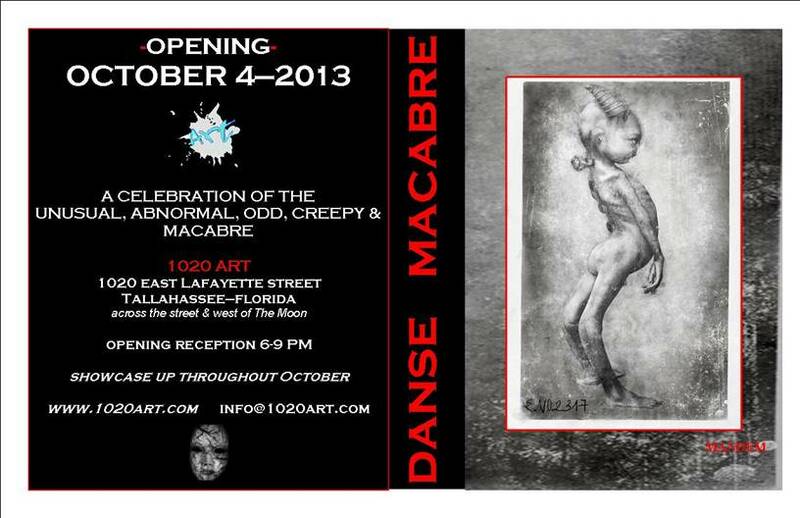 Opening October 4, 2013 at 1020 Art: DANSE MACABRE- a celebration of the unusual, abnormal, odd, creepy, and macabre. This juried show includes works by many talented artists, including five pieces by FSU art student MANDEM. ◊ Join us for the opening reception on Friday, October 4, from 6pm-9pm. 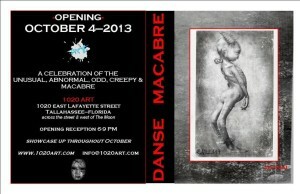 ◊ 1020 Art is located at 1020 East LaFayette St. in Tallahassee, across the street and west of The Moon. The showcase will be up throughout October. For more information, visit www.1020Art.com or email info@1020Art.com.